The Western Sydney Wanderers have announced the signing of German-born defender Patrick Ziegler for the next three Hyundai A-League seasons. The 28-year-old towering defender comes to the Red & Black after an extensive career in Germany, which has seen him play for clubs such as SpvVgg Unterhaching, Paderborn 07 and more recently, 1. FC Kaiserslautern. 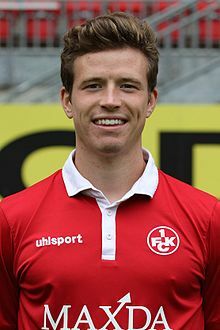 Ziegler has featured in over 130 matches across the first two divisions of the Bundesliga and will play abroad for the very first time of his career with the Western Sydney Wanderers. The centreback said he was looking forward to meeting the team and getting underway with preparations for a massive 2018/19 Hyundai A-League season. “I’m very excited to be part of this great club and a start a new chapter of my career in Australia,” said Ziegler. “The main reason why I decided to join the club was (head coach) Markus Babbel. We had several nice phone conversations where he told me a lot about the club, my new teammates but also about the country, the culture and the lifestyle. Western Sydney Wanderers CEO John Tsatsimas says Ziegler is another great addition to the team. “Patrick comes to the club with some fantastic experience abroad and we’re looking forward to seeing him in action this season with the Red & Black,” he said.